It’s come to that time of year once again- a time of relaxation, relations and reflection on the events of the previous 12 months. 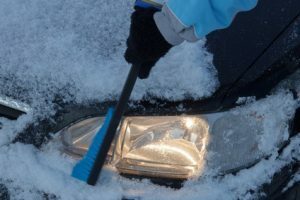 Unfortunately for some, it’s not such a peaceful time, having to deal with various injuries and ailments as a repercussion of too much festive fun. 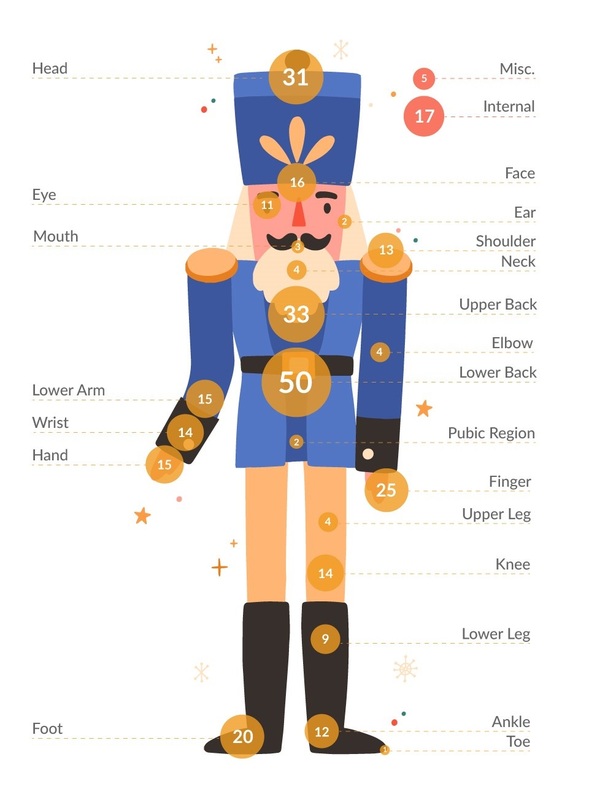 For those of you that may remember, last December we undertook a study using data provided by the CPSC in order to find out exactly what the most common causes of Christmas casualties are. 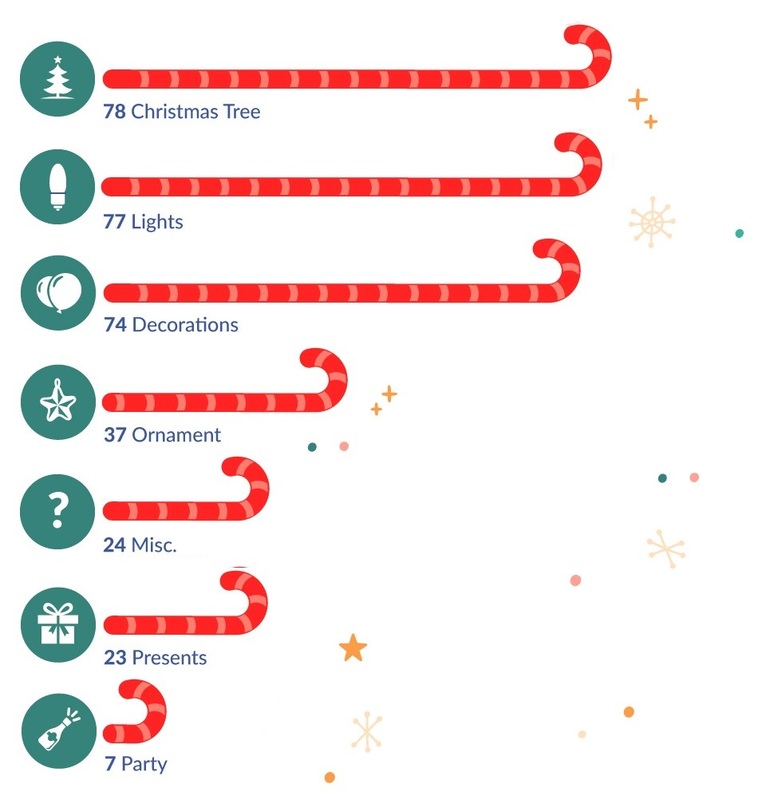 Well, once again, we’ve been looking through almost 60,000+ individual injuries for the year for which we found 320 accidents mentioning ‘Christmas’ or ‘Xmas’ enabling us to find 2017’s top elf & safety mishaps. 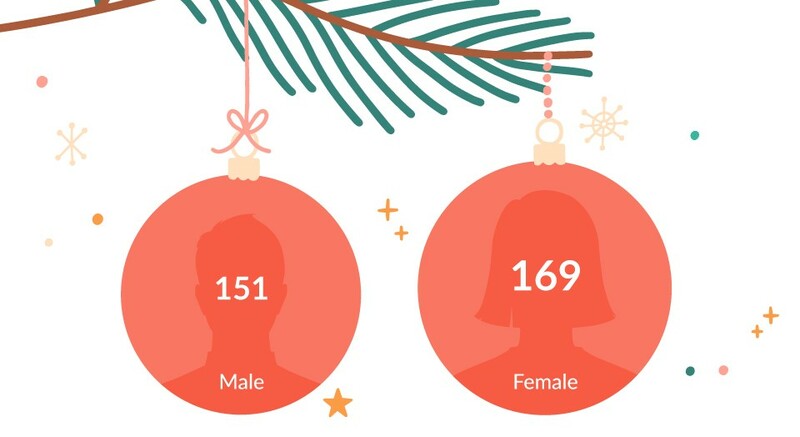 After reviewing all 320 accidents, we found that there was a pretty even split between male (151) & female (169) accidents with girls slightly edging the top spot. Breaking this down by body part we saw that 50 injuries occurred to the lower back, primarily from lifting heavy objects. This was followed by 33 to the upper back and 31 to the head. 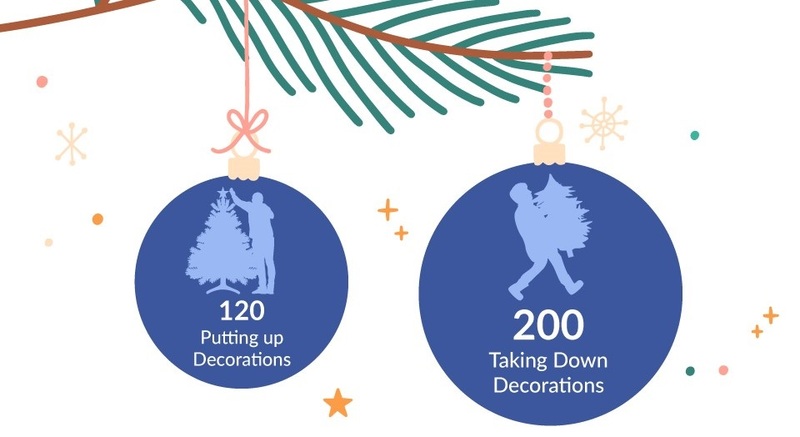 Interestingly, we saw that the majority of these accidents occurred when dismantling or taking down decorations as opposed to those when putting them up at the start of December. Next, we took a look at how the seniors stacked against millennials by breaking down the injuries into groups of 10-year splits. 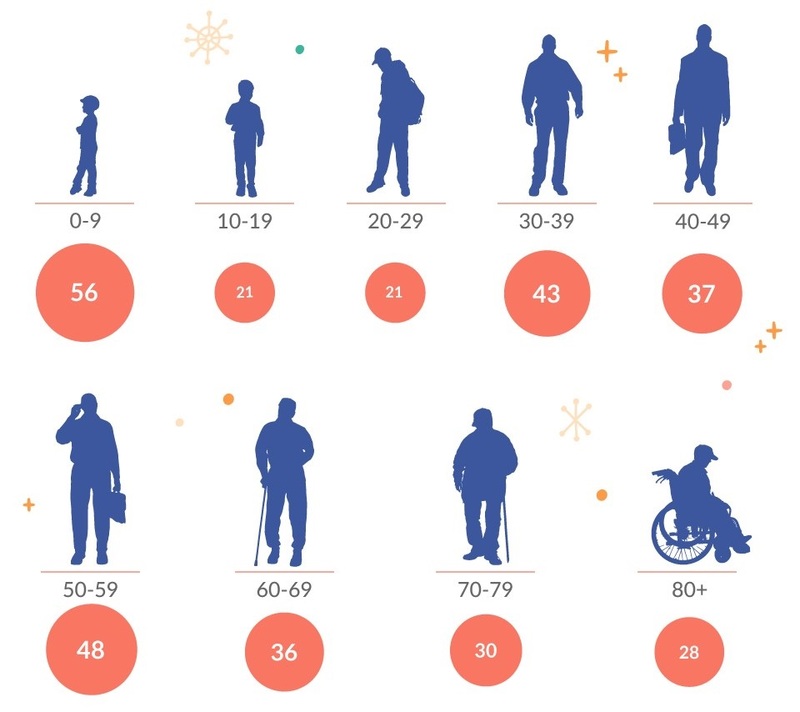 Toddlers & young kids took the top spot with 56 injuries, shortly followed by 48 injuries to the 50-59-year-olds and 43 injuries to the 30-39. Remarkably the 10-19 & 20-29 brackets proved to be the safest, (or perhaps just did the least to help with the decorations). 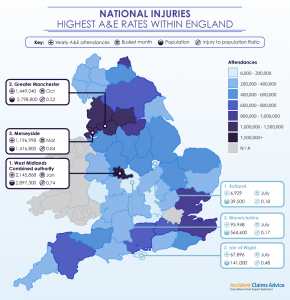 Looking at the causes of these injuries, unlike last year injuries handling or decorating the Christmas tree proved to be the most problematic, (many of which occurred when lifting said tree down). This was immediately followed by injuries caused by Christmas lights and household decorations, with only 7 injuries associates to some heavy festive partying. Further analysis showed that 115 accidents where due to slipping & falling, while a further 76 from cuts and slices, so remember to watch out next time you’re lugging that box of decorations down from the attic. 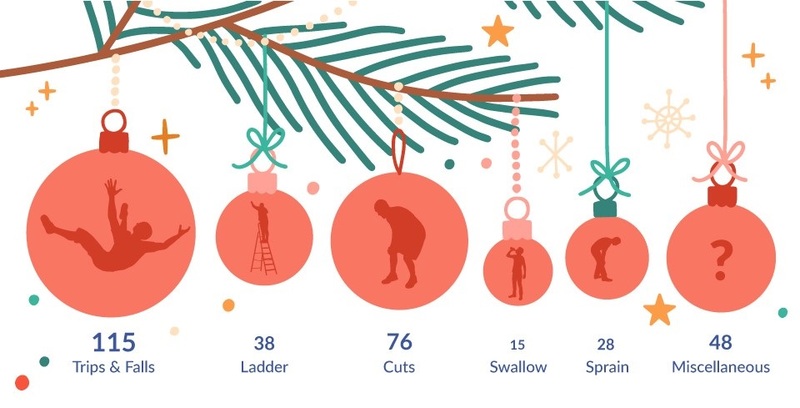 While this may seem all doom and gloom, don’t let it break your festive spirit- just be sure to take care next time you’re up a ladder or swinging from a beam at the office Christmas party. There you have it- From all of us here at Accident Claims Advice we wish you a Merry Christmas and happy new year! 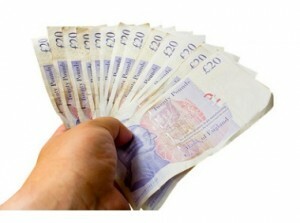 Is The Compensation Culture In The UK A Myth?